Color Change Floof: Fluffy fidget toy that changes color with heat. Add color to your playtime and start creating with Color Change Floof. 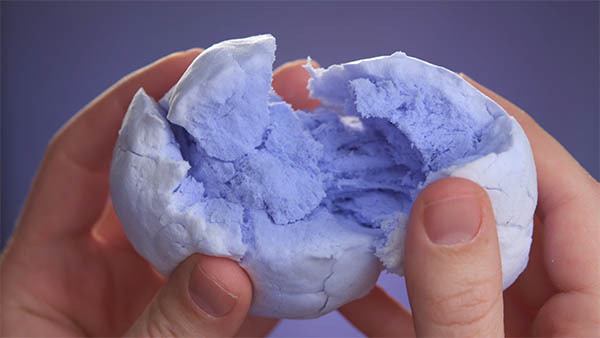 This light, fluffy tactile toy has color changing properties that give you even more reason to dig your hands into the incredibly soft stuff. Open your bucket of Color Change Floof and you’ll see over 100 grams of blue molding material. Start playing with it, and you’ll notice it turns white as your body heat warms it up. Let it rest again, and you’ll see it morph back into its natural blue. The marshmallowy substance is ideal for building sculptures that will then change colors before your eyes. The set also includes a straw-like air wand so you can trigger the change without disturbing your creation. Color Change Floof has all the marshmallowy moldability of the original toy with the added superpower of changing colors! 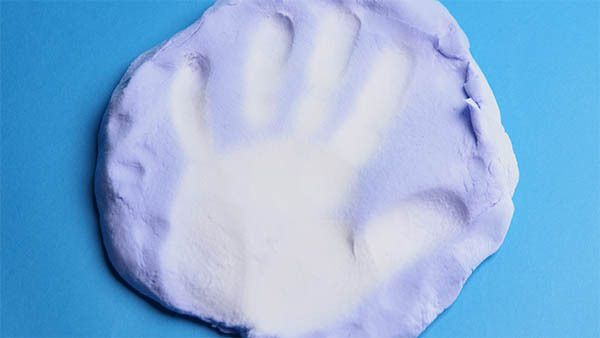 You can lightly touch the soft stuff to leave a white fingerprint that fades back to blue in seconds. Or try pressing it between your palms to make a ball that stays white as snow for several minutes while remaining blue on the inside. There are many ways to play with Floof’s new capability (as if you needed any more). Add a touch of white to your toy. Color Change Floof isn’t reliant solely on touch to change colors; it can be triggered by any heat source such as a hair dryer or your own breath. 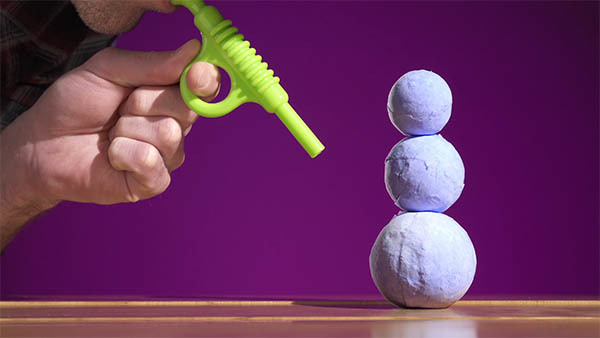 Use the included air wand to funnel your hot breath to trigger the color change. The plastic accessory looks like a miniature bugle but allows you to quickly change your Floof from blue to white. Use it when you don’t want to lay a finger on your sculpture or when you want to have more control with the color changing properties of this crazy substance. Use the included air wand to make Floof change colors. 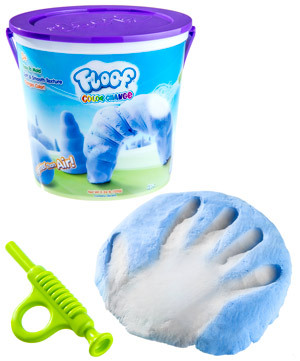 If you’re already wise to the best, fluffiest molding material around, you know that Floof is a must-have for fidgeters and those who like a satisfying squeeze. Going blue hasn’t changed Color Change Floof’s entertainment ability. 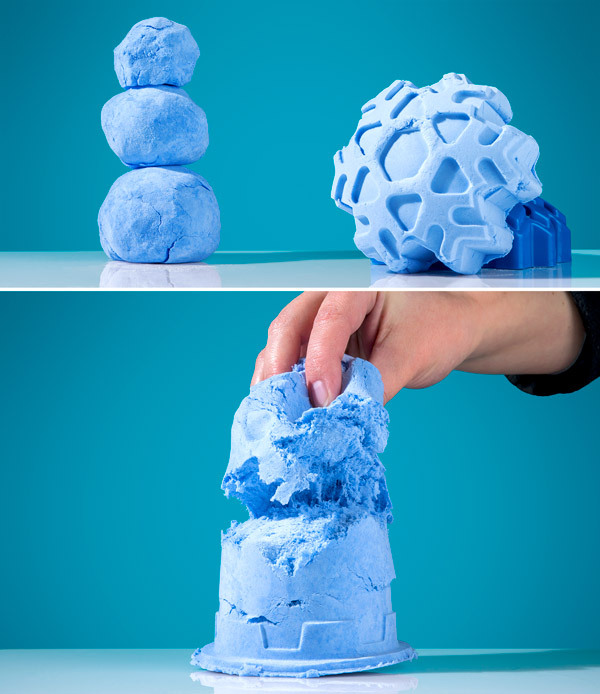 Floof’s sticky nature makes it easy to form into shapes and sculptures, while its pillowy texture makes it fun to simply dig your fingers into the stuff. It’s a bucket of fun no matter what color. Life would be easier if every mess could be cleaned up with itself. Color Change Floof sticks to itself so well, you can use a ball of it to pick up small pieces. Even if you forget to clean up, the non-toxic material doesn’t dry out, so it’ll be ready for more fun tomorrow. Easy to clean up and non-toxic! Question: How is this different from Floof classic? Answer: Color Change Floof plays the same as its monochrome brother. The heat change element is the main difference between the two products, although the original Floof also has an extra 30 g and three snowball molds. Question: Is this going to leave a residue? Question: How does the air wand work? Answer: The wand is a simple plastic tube that helps direct your breath so you can easily use it to make the Floof change color.